In crowded search engine results or social media feeds, you have less than a second to catch a reader’s attention. Once you’ve managed that, you have even less time to convince that reader to take action on your ad, post, update or link. The importance of using the right words in your titles is therefore top priority. Catchy titles for blog posts encourage a potential reader to consume your content. Engaging words go further, and drive your audience to take action; whether that’s download your free content upgrade or sign up to your webinar. When it comes to writing irresistible titles, the bigger the better. Write it full power: this is no time to be shy and humble. You’ve taken the time to produce a great piece of content – from a vlog to a written guide – so it’s time to scream it to the world. Just what are power words that encourage your audience to take action? 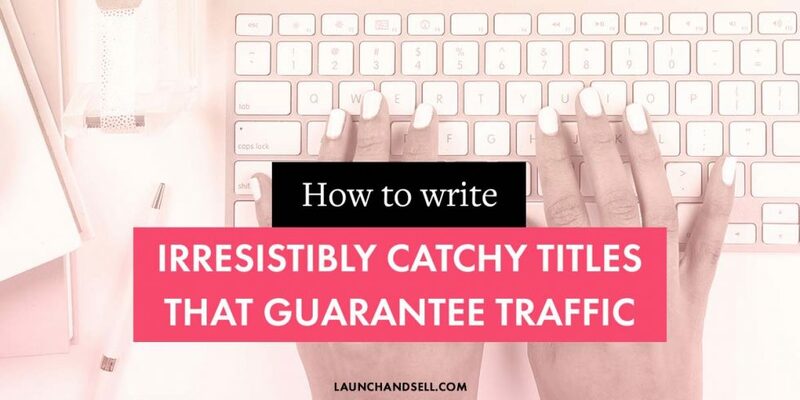 Here are my top tips for how to write catchy, engaging titles for freebies and Facebook ads that convert. In our time-poor and budget-conscious society, what do most consumers wish they have more of? Yes, you were right, that was a pretty easy question because the answer is obviously time and money. No risk reassures the customer it’s a sure thing. If they use your product or service they can feel safe in the knowledge that they will not lose anything by doing so. When customers are looking for reassurance that their time and money is not going to be wasted, using titles that imply no risk will be a huge draw. To stand out from the crowd online you have to make your offer irresistible to potential customers. Entice buyers with the promise of delivering full value services or products at rock bottom prices. 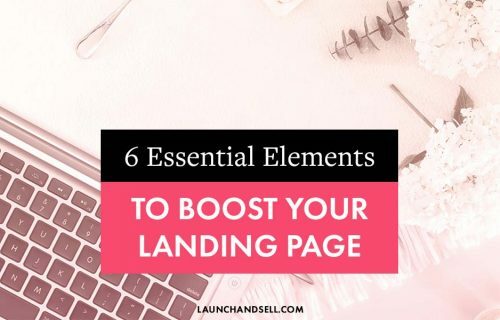 You may also want to use this in conjunction with a time-limited offer or particular brand names that people associate with a higher cost and value to really drive home the point that you are offering them a great deal. Show your audience that you’re going to give value and information to boost interest. Make it clear that you are going to be sharing your knowledge and be generous with the information you provide. Your target audience is more likely to read your article, sign up to your webinar or mailing list if it’s obvious it will help them solve a problem they already have. 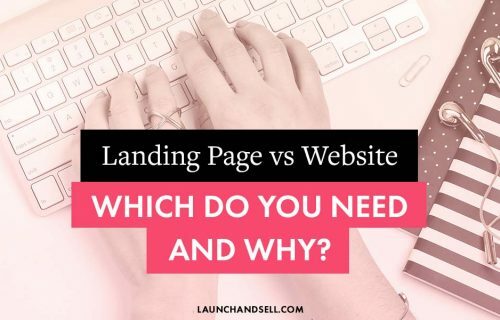 Use these in conjunction with a free webinar, an email course or a freebie to guide them through an answer and you’ll see a huge uptake on your offer. It’s perfectly common for people to only take action when they can see a direct benefit. Play up to this by including words that speak to our desire to learn new information quickly and for a good reason. Depending on how you word it, the result or benefit can be both a positive or a negative. For example: a decrease or an increase, such as: a decrease in the amount you spend on monthly bills or an increase in the amount you save on monthly bills. We all want to feel like we’re uncovering the best of the best, whether that’s: a new recipe, workout routine or way of doing something with a new product. If you can include enticing words that convey a huge benefit to your audience, you’re going to pique people’s interest. As you’ll notice, these words suggest only a limited number of people have this knowledge or product, which entices people to take action as they want to be ahead of the curve. Our audience can be quite sceptical of a lot of information found online. Social proof is one of the most effective ways you can cut through this noise and convince your audience that you are the real deal. There are a lot of voices vying for attention on the Internet, so it’s important to use genuine and honest language that speaks to your target audience to reassure them that you are worth investing their time and money. Just make sure that if you’re using social proof to engage your audience that you have the statistics or evidence to back up your claims. Compel your audience to take instant action by using some words that signify how easy it is to do. By using catchy titles, you’re making it really easy for your audience to make a snap decision. To reflect this, the action should be something simple. This wouldn’t work if you were asking your customer to take a 15 minute survey, but would be perfect if you wanted them to download a cheatsheet that gave them instant gratification. Similarly to immediate action words, creating a sense of urgency compels your audience to take action. By including language that implies a time limitation, you are essentially adding scarcity value to your product. Catchy titles like these for Facebook ads, sales pages or email marketing are powerful because they create a sense of exclusivity. People want to be part of something and feel like they are one of the last to benefit from your irresistible offer. Now you are armed with a selection of my top power words for Facebook ads and freebies. However, if you’re still looking for more, I’ve compiled an ultimate list of irresistible titles to transform your freebies, blog posts and social media campaigns into client magnets.